UPDATE AGAIN: OK. A quick change of address and a step back to pbwiki 1.0 and it seems to be functional. The password is 'interesting'. So, last year we had a wiki which was sort of useful and interesting, but didn't really have a job to do. This year there seem to be a few people looking for tickets, and, already, people who realise they can't come. So maybe a wiki might be a good place for them to come together. So it's here. And I'm sure it can do other stuff too. 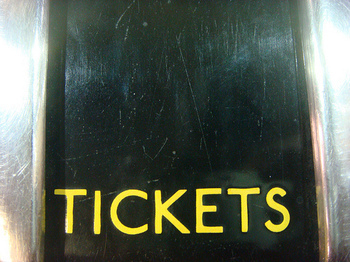 If you're after a ticket, or you want to get rid of some, that might be a place to turn.